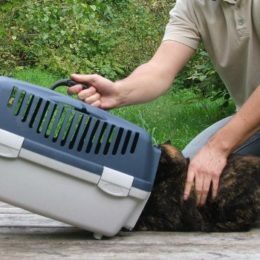 This photo guide shows you how to get a cat into a carrier when he’s afraid of it. 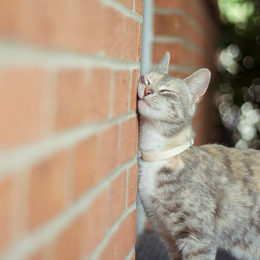 It works well for most cats, even those who are extremely unwilling to go in there. What happens when you reach for a pet carrier and place it in the room right before getting your cat in it? It’s highly likely he is now under the bed. 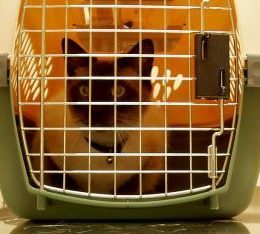 In this article we are going to, first, explain why cats are afraid of pet carriers, and, more importantly, what can you do to make your cat’s fright go away. 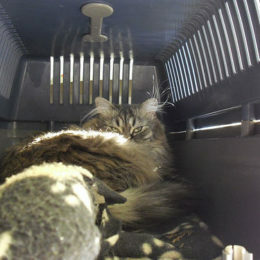 When buying a cat carrier, there are different sizes available at pet stores, so, logical would be a question: ‘How large cat carrier do I need?’ In this article, we want to answer the question above. Getting an angry cat into a carrier is a hard task. Most cat owners will confirm it. But what about your cat going in it on his free will?